Helps to save for the Big Game. 4 Assorted styles. Plastic. 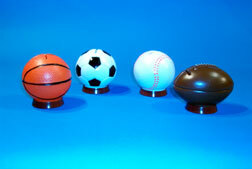 3 1/2 inch sport ball banks.